Fried & Kowgios Partners LLP of New York, one of the leading accounting firms in providing services to theatrical productions, not-for-profit and entertainment companies, joined its practice with Princeton, N.J.-based WithumSmith+Brown (FY16 net revenue of $147 million), ranked No. 27 on the 2016 IPA 100 list of largest firms in the country. “Since our inception in 2003, our primary focus has been to provide the best possible technical and personal service to our clients in the theatrical industry,” says Karen Kowgios, founder and MP of Fried & Kowgios. “This union enhances our ability to pursue this objective by offering our clients access to Withum’s significant breadth and depth of resources, giving us the opportunity to continue to even more effectively serve as a trusted advisor.” The firm has extensive experience and depth in providing the theatrical industry and related producers, general managers, and lawyers the essential services that these entities need in order to operate effectively. Phil Whitman and Barry Wagman of Whitman Business Advisors acted as facilitators in the transaction. Lexington, Ky.-based Dean Dorton Allen Ford PLLC (FY16 net revenue of $25.6 million) has announced a new service line, Dean Dorton accounting and financial outsourcing (Dean Dorton AFO) for back office and accounting solutions. 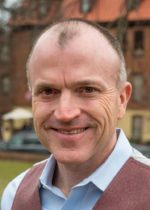 Dean Dorton recognizes the increase in demand for collaborative cloud-based applications for both business executives and their teams in order to provide financial data more efficiently and effectively. 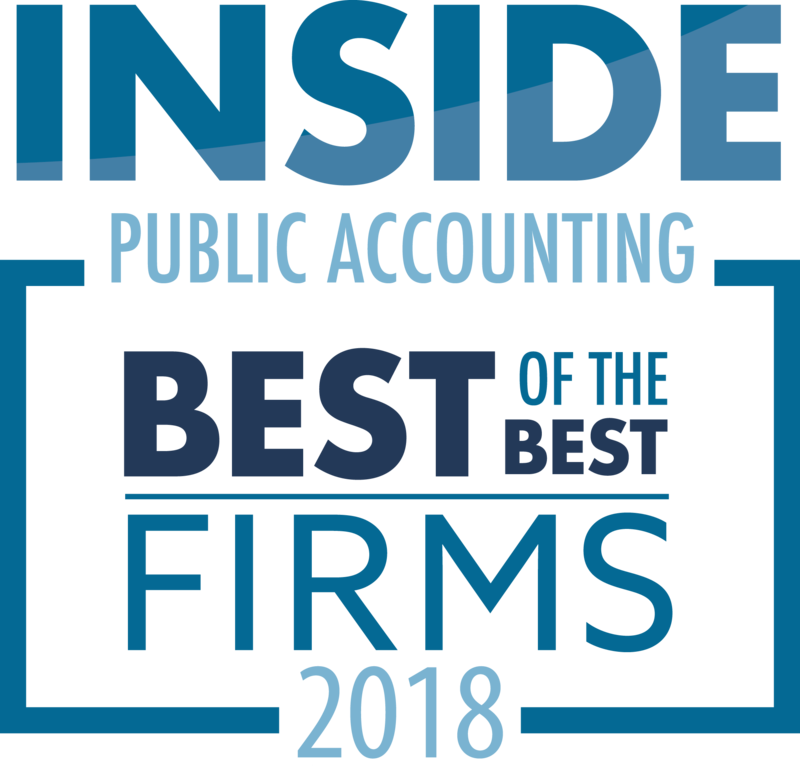 Dean Dorton is one of the first accounting firms in Kentucky to offer a cutting-edge, scalable mobile accounting solution. Going further, faster is the goal, allowing businesses to automate their core financials and most important processes, mitigating turnover in accounting staff, ambiguous financials, inefficient processes and constantly outgrowing systems resulting in technology upgrade costs. Through these new technological advancements the Dean Dorton AFO team can offer assistance in basic transaction processing, controller-level services or fully outsourced CFO services. This innovative approach – offering outsourcing services to companies that don’t want the distraction or costs of running an accounting department, as well as offering selection, design and implementation services for companies with established finance departments – is expected to significantly accelerate client’s growth and enable them to fully utilize real-time financial data online from their office or on-the-go via an app, the firm says. “Organizations of all sizes must adapt and innovate. This includes adopting more robust financial management systems that enable them to better monitor their performance on an ongoing basis so they can react effectively to rapidly changing market dynamics,” said Jason Miller, director of business consulting services at Dean Dorton. Naperville, Ill.-based Sikich (FY15 net revenue of $116.6 million) was named to the 2016 Inc. 5000 list. 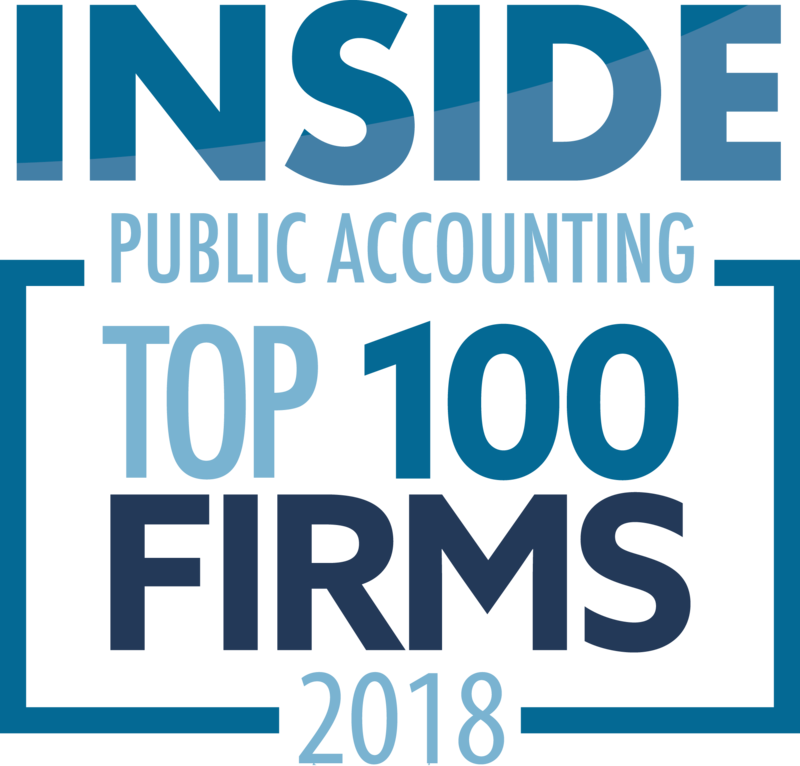 This is the fourth consecutive year the firm has appeared on the magazine’s annual ranking of the fastest-growing private companies in the United States. Sikich has grown revenue by 53% since 2012. It ranks 4,613 on this year’s Inc. 5000 list. For more than 30 years, Inc. magazine has published its list of the fastest-growing private companies in the country. Companies are ranked by revenue growth over three years. To qualify, a company must be headquartered in the United States, independent and for profit. To view the complete 2016 Inc. 5000 list, visit Inc.com. 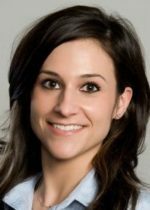 Chicago-based UHY Advisors Inc. (FY15 net revenue of $114.2 million) has announced that marketing director Krystina Borrocci was recognized by Wayne State University as the emerging leader for 2016. “Her millennial spirit and way of thinking combined with her ability to work with upper management has propelled her up the ladder at UHY and even makes her the youngest in the company’s history to hold the director title,” the firm says. Borrocci was recently honored at Wayne State University’s Mike Ilitch School of Business during the school’s 36th Annual Recognition & Awards Program, where she was awarded as the 2016 Emerging Leader. The Emerging Leader award is given to an alumnus who has distinguished his or herself as a rising star in their industry or community and shows great promise for the future. Borrocci, a 2007 Wayne State graduate was hired by UHY LLP in 2008 and received master’s in business administration from Wayne State in 2010. The firm credits Borrocci with overseeing many successful external marketing campaigns and events, keeping morale high and making UHY one of Metro Detroit’s best and brightest places to work. Twenty young professionals are ready to lead the CPA profession into a changing and complex world after completing the Business Learning Institute’s 2016 Leadership Academy. Held from Aug. 24-26 in Towson, Md., the annual Leadership Academy teaches high-potential CPAs the finer points of strategic thinking, strengths-based leadership and how to engage their networks. Now in its sixth year, the program is designed to help attendees determine what steps they need to take to climb the leadership ladder based on new learning and current realities. Using their “Insights to Action” (or i2A) strategic thinking system, Hood and fellow facilitator Gretchen Pisano taught attendees how to develop their executive presence based on their personal and professional strengths, how to tap into the strengths of their teams to drive growth in their organizations, and how to engage their teams in creating a shared strategy. Leverage technology for efficiency and insight. Build the bridge for succession planning. The group plans to reconvene later this year to create a whitepaper that outlines specific steps for how the profession can address some the trends that are impacting the profession. AGN International, a global association of public accounting firms, announced that Regier Carr & Monroe (RCM) has joined as a member in the North American region. RCM operates out of Wichita, Kan., Tucson, Ariz., and Tulsa, Okla. The firm has provided professional services in accounting, taxation, financial planning and management consulting since 1948. Over the years it has focused on strengthening its core services, with a clear focus on quality and integrity. 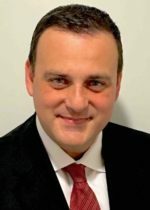 Stefano Vranca has joined New York-based Marcum (FY15 net revenue of $412 million) as PIC of advisory services for California. A member of the firm’s national forensics practice group, he will be based in Los Angeles and will also spend time in the Irvine, Calif., office. Vranca has served as an expert witness in financial reporting matters under investigation by federal agencies and has testified at depositions, arbitrations and jury trials. In addition to being a Certified Fraud Examiner (CFE), Vranca is a Certified Internal Control Auditor (CICA) and a Forensic Certified Public Accountant (FCPA). He also holds professional certifications from Italy and is fluent in both Spanish and Italian. Vranca specializes in fraud investigations, forensic accounting, intellectual property valuation, royalties and participations audits, and lost profits and commercial damage analysis. 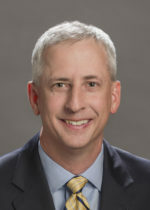 Prior joining to Marcum, he was a managing director at a Big 4 accounting firm and served as PIC of the litigation and forensic accounting practice at a national accounting firm. He has held senior positions with other national firms where he provided litigation support and consulting services to clients. As chair of RubinBrown, you’re responsible for leading growth. How do you uncover areas of growth? Are you looking at organic growth, growth through acquisitions or both? RubinBrown is intensely committed to growth both organically and through mergers. Through our visioning and business planning process, we have ambitious, but achievable goals to grow organically through our specialized industry groups, as well as through expansion of RubinBrown’s Wealth Advisory Services. With regard to geographic expansion, RubinBrown is actively working to expand our regional footprint, focusing on locations across the Midwest. We focus on developing relationships with firms that match our people-centric and entrepreneurial culture. You’ve described the culture at the firm as entrepreneurial – how is that spirit encouraged and nurtured at RubinBrown? Leadership, innovation, creativity and entrepreneurism are fostered throughout the firm. We encourage and listen to suggestions to improve. Risks undertaken for the long-term growth and benefit of the firm are willingly accepted, and weaknesses identified are appropriately eliminated with a sense of urgency. One example of our firm’s entrepreneurial spirit came from a team member with a business plan to set up a satellite office in a start-up, innovation center in St. Louis where we are headquartered. He felt we could help these emerging businesses. We supported him and over the past two years, he and his team have become an integral part of the community. You’ve said that RubinBrown has become a Top 50 firm through its superior client service. What’s different about how your firm serves clients? RubinBrown’s reputation for superior quality and service is one of our most valuable assets, along with our people. This asset is entrusted with each team member and is fiercely protected and enhanced without compromise. Growth, continuity and financial success of the firm and team members result from superior service provided by a cooperative team that promotes the mission and core values of the firm. RubinBrown’s differentiator is simple. We are committed to totally satisfied clients and inspired team members and earn our clients loyalty each and every day with likeable, responsive and technically superior team members. The firm lists “having fun” as one of its core values? Why? Our culture inspires our team members to do great work and to build personal relationships with one another. While RubinBrown has enjoyed growth over the years, we have successfully increased the loyalty, intimacy and sense of belonging that have long contributed to our success. We expect all team members to have positive attitudes, have enthusiasm and, absolutely, have fun. One way we encourage fun is by bringing all of our team members once a year for an all-firm meeting. The RubinBrown Team Member Update is a mix of socializing, entertainment, learning and motivation. Our team members cite the event as one of their favorite meetings of the year. RubinBrown has an employment brand to help communicate the unique people-centric and service culture of our firm. “Be Your Best For Others” demonstrates RubinBrown’s commitment to its team members, high-caliber performance and giving to others. Whether it’s for clients, the community, or each other, the 500+ team members of RubinBrown work hard every day to “be their best for others.” Team members are at their best when they are giving to others. Nano learning and blended learning are now accepted forms of continuing professional education, thanks to newly revised standards from the National Association of State Boards of Accountancy and the AICPA. That means a new offering from the Maryland Association of CPAs and its learning subsidiary, the Business Learning Institute, is the first nano learning program for finance professionals in North America to qualify under the new standards. The MACPA’s Anticipatory Organization™: Accounting and Finance Edition, or AOAF, is the first nano learning program for CPAs that meets these innovative new learning standards. The program combines three- to four-minute, single-concept videos with rapid application exercises to accelerate learning of complex competencies in less time than traditional CPE programs. It was developed by international futurist and best-selling author Daniel Burrus and recognized by Accounting Today magazine as one of the 2016 Products of the Year in the learning category. The effectiveness of the AOAF model — short videos followed by exercises that teach you to apply what you’ve learned to what you do — is backed by science. Beyond that, Shriar writes, nano learning helps increase employee engagement, helps create a culture of continuous learning, and is easy to update with the latest information. The MACPA and the BLI have pioneered new methods of learning for more than a decade, starting in 1999 with the association’s “Management by Sticky Notes” collaboration process and continuing in 2008 with the groundbreaking CPA Island in the virtual world of Second Life. In 2012, the MACPA also pioneered technology for remote collaboration and audience participation / engagement. These continue to elevate and accelerate learning for our participants. Mobile / nano, or “Just When You Need It” learning: The MACPA and the BLI are working on a innovative learning platform called “Wise,” which uses social media to track and report nano or micro learning from Twitter and LinkedIn. The cloud: The AICPA Navigator learning management system allows us to offer what we call “the four Cs of talent development” — competencies, career path, and a curriculum on a cloud-based learning platform. The LMS allows firms and companies to move their talent development to a strategic and systematic approach. The MACPA and the BLI can bring that expertise to your LMS. Competency-based learning: With our Bounce framework (which maps BLI programs to the new CGMA Competency framework), we can now create strategic learning plans for organizations. Our new program to build a competency around anticipation and strategic thinking is both a nano learning program and a way to develop competencies, with its rapid application exercises and collaboration guides for teams. Our competency focus is part of our DNA, from the initial research from the AICPA Vision Project and the updated CPA Horizons 2025 Project that identified the top five future competencies for CPAs. How are you keeping your L>C? 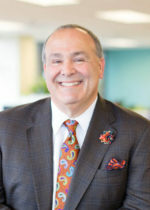 Bill Sheridan is the chief communications officer / new and social media specialist for the Maryland Association of CPAs. 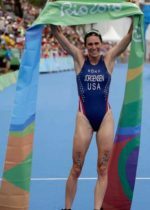 Gwen Jorgensen, formerly of the Ernst & Young corporate tax group in Milwaukee, became the first U.S. woman to win a gold medal in the triathlon, with a time of 1:56:16 at the Rio Olympics. According to the AICPA, Jorgensen didn’t even start competing in triathlons until after college at the University of Wisconsin-Madison, where she earned a master’s degree in accounting and passed the CPA exam. A runner and swimmer at college, USA Triathlon contacted her to consider triathlon, but she turned it down to work for the Big 4 firm. She began training as a hobby and began competing. Ernst & Young allowed her to work a flexible schedule so she could travel for competitions and take off time to train for the 2012 Olympics in London. “She fully intended to return full time to EY after London, but, as any accountant or CPA knows, accounting is a full-time job. And so is being an elite triathlete. Jorgensen decided to pause her accounting career to devote her time to training,” the AICPA reported LINK.